Once the snow melts and the sun starts shining I start dreaming of Spring and Summer dresses. I prefer dresses to shorts, and love how I can easily have a super casual outfit or a fancy one just by changing my shoes! If you caught my Instagram stories the other day then you saw sneak peeks of all of these..but I'll go over all the patterns and fabrics in detail here, cause one can never speak too much about fabric, right? Also - this is not sponsored in any way by Raspberry Creek Fabrics, I just really love them. Diana, the owner, is amazing, and she's local to me. I found her shop on etsy a couple years ago and then realized she lived just down the road! So now she's a good friend and I shop her fabrics constantly. I am never disappointed and there's always something perfect for me. Fabrics tend to go out of stock fairly quickly but she restocks fast. And she has a 1 day turn around time for shipping! Its insane. I don't know about you, but I get really ambitious every month with my sewing plans and they never all get done. So as much as I'd love to get all these all sewn by the end of April...it wont happen. Even with a month and a half. I just know its my reality. Mostly cause I can't help myself. I have no self control whatsoever. I do all the pattern tests and still make mile-long lists of sewing plans each month. You think I'd learn my lesson, but really, all I have learned is that I wont actually be able to sew all of these, and be a mom and properly dress and feed my kids, but it doesn't stop me from dreaming! So without further ado - the plans! 1. This is rayon challis and is insanely gorgeous. Its hands down my favorite fabric in my stash...hence...its been here a while. I am just too nervous to cut into it because what if I mess it up???? Oh man I get paralyzed occasionally...when my best fabrics are at stake. I am actually going to be copying Emily of @enjoyfulmakes and using the wrong side of this fabric. 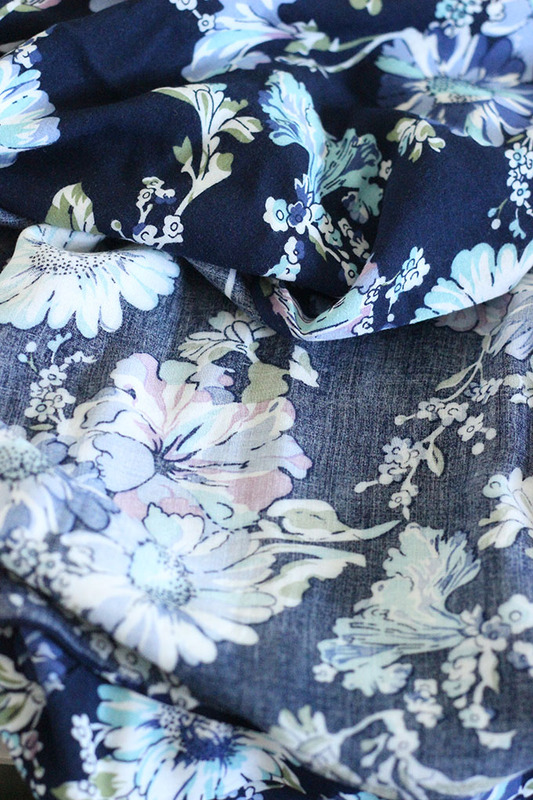 It just softens it up and gives it almost a floral chambray feel, which I am totally digging. 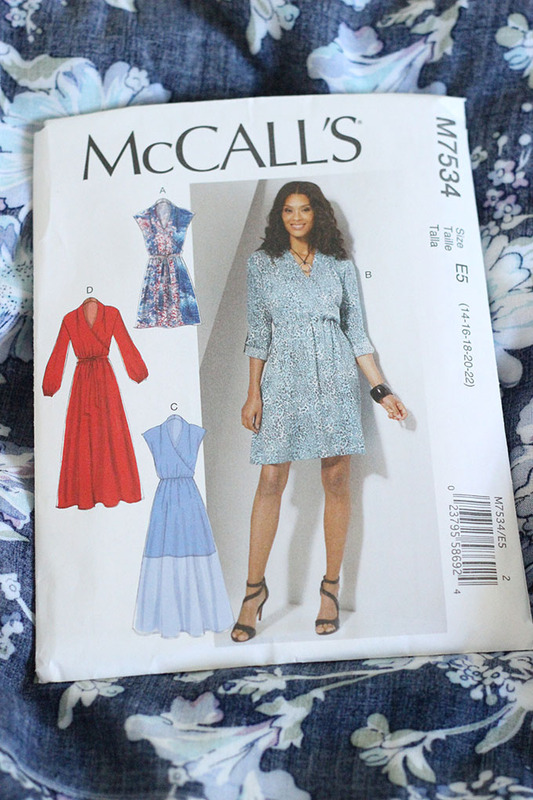 It will likely become M7534 because the muslin of the pattern I originally thought it would be turned out to not really be love so..I'm thinking this one. Its a faux wrap bodice with an elasticated waist and the option of a tie belt. I want view D but I will be shortening the sleeves, cause I'm just not sure I want them long...I think I would prefer short sleeves. 3. 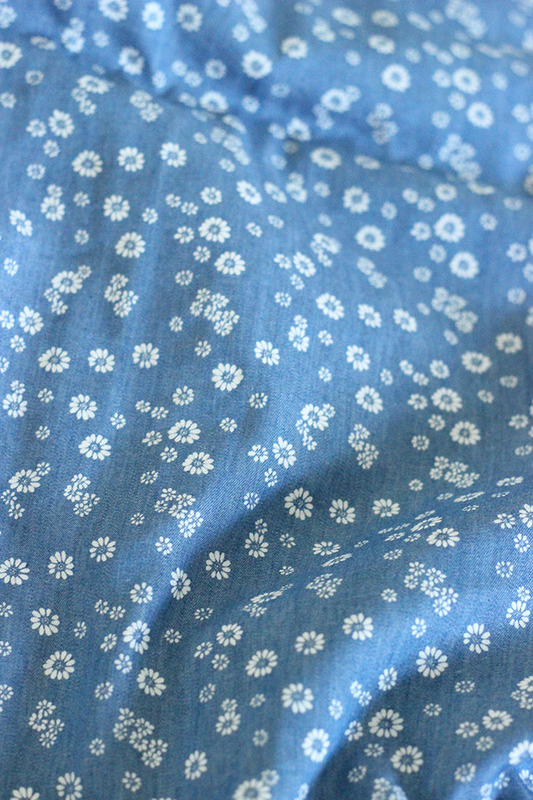 Daisy Chambray- it doesn't wrinkle, and insanely smooth to the touch. 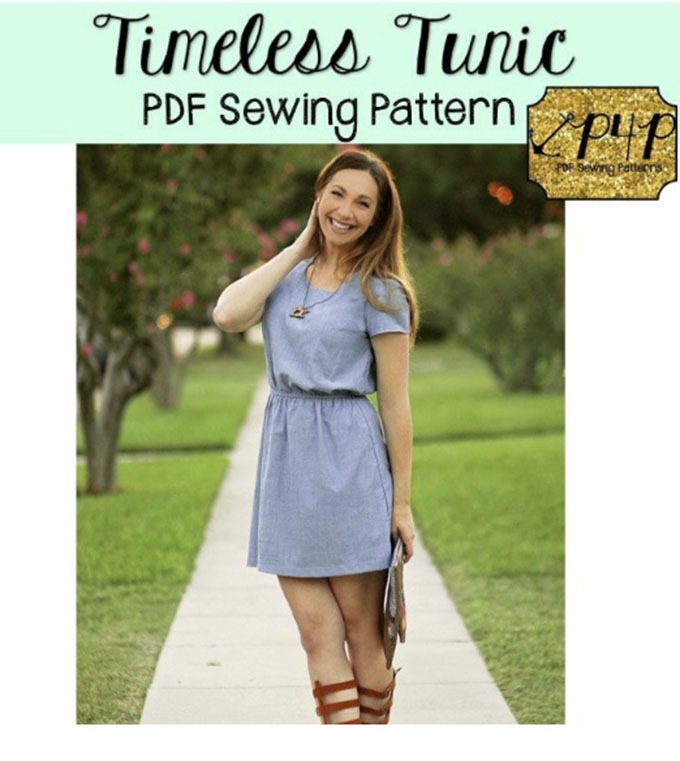 Its going to be a Patterns for Pirates Timeless Tunic, but I'm doing it in the knee length dress option with short sleeves. 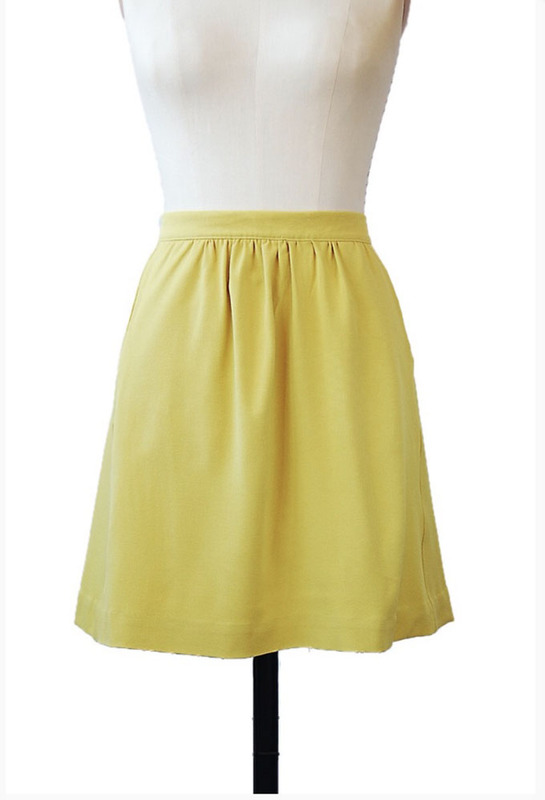 Its going to be perfect with leather sandals, wedges, or my little pink vans. Basically, the perfect mom dress! Stoked for it. 4. 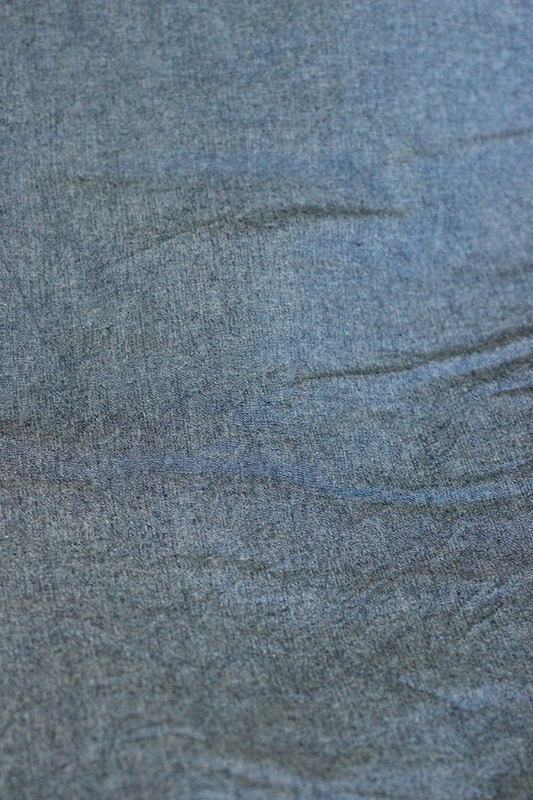 Robert Kaufman chambray - wrinkles a lot but I kind of like that. For some reason, I think there are some garments to which wrinkles just add personalty. Am I crazy? Its ok if I am ;) This is going to be the Leisl and Co Every Day Skirt. A great neutral to pair with a tee, a a blouse, or whatever I'm feeling at the moment. Its basically as versatile as jeans. I also have a pink Robert Kaufman linen rayon blend that I think could look awesome as this skirt. But I'm torn on that or a shift dress, or another timeless tunic...so it didn't make the sewing plans list cause I'm so undecided! 5. 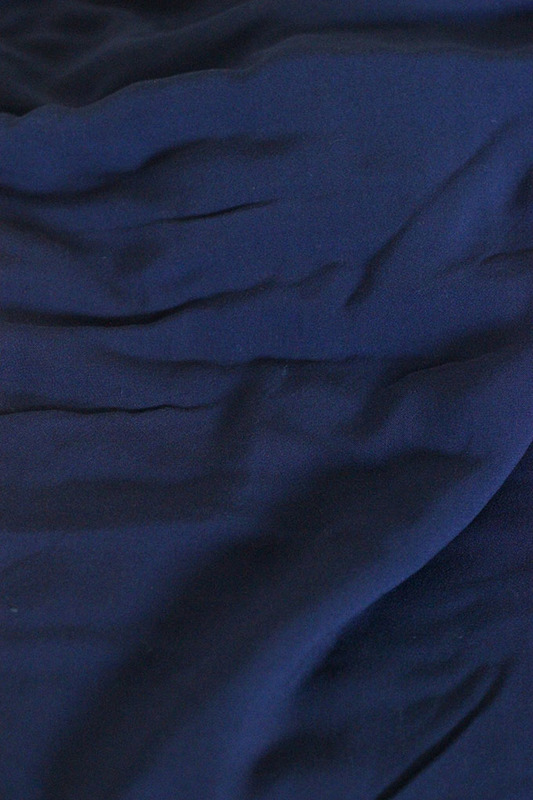 Navy rayon challis, its super duper drapey. I really want to make M7505 with it but I'm going to shorten the sleeves so the bell starts at the elbow and then only goes mid forearm. Or maybe a short sleeve with a little gathered bell sleeves ending at the elbow. I'm kind of getting into the sleeve trend...but I don't want it to be too out there. So now I'll add some bonuses just in case I do super duper awesome at my sewing goals. +I really really really want to sew up a Collette Patterns Sorbetto Top. 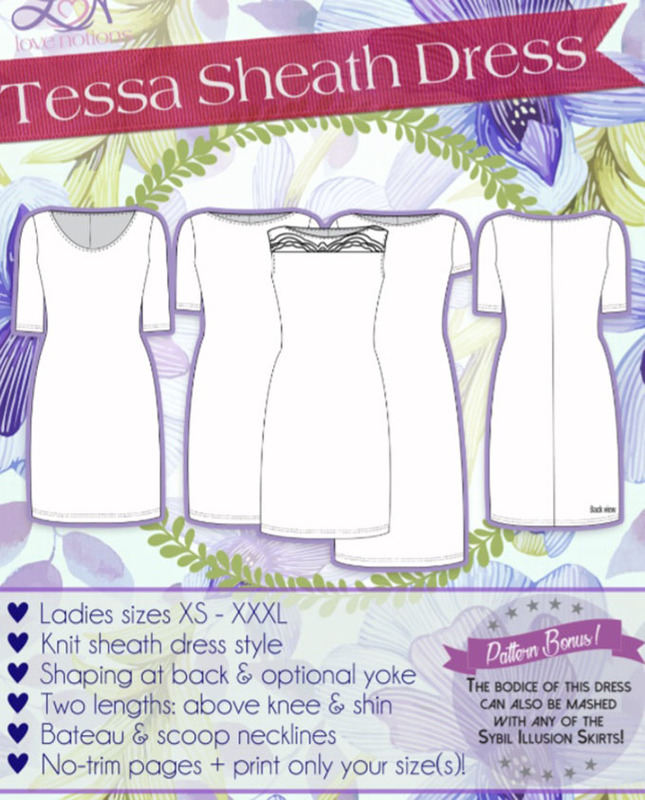 Its a newly re-released pattern - and its free! I am tempted to make two. 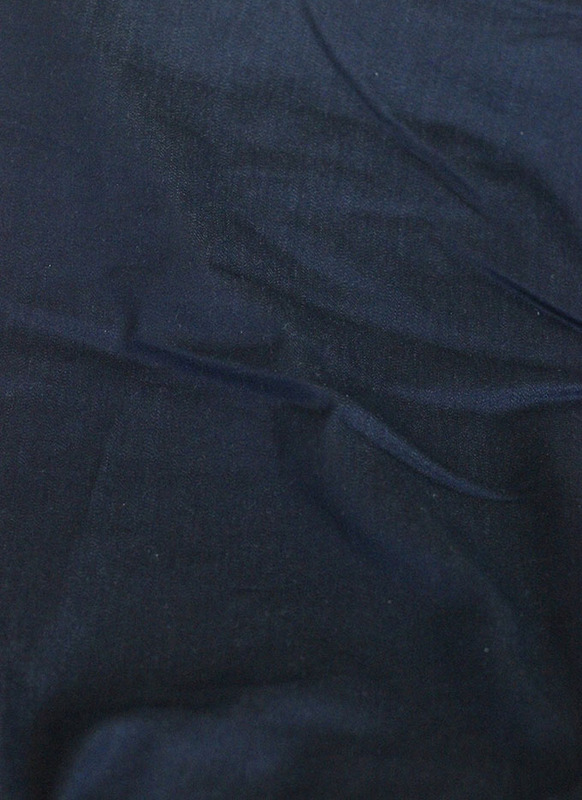 One at shirt length with sleeves. The other in tunic length, sleeveless, in something semi-sheer and have it be a nice, somewhat classy swimsuit cover up. We'll see if that ever happens. +A See Kate Sew Neptune Tee with all the triangle cut outs. Its been on my list for ages and I just really need to get around to it. I am also testing two dresses next week, from some amazing designers, so I'll have to fit all this in around being a full time mom of a toddler who doesn't nap and a baby.